Editor’s Note: The Lord’s Resistance Army has affected the Central African Republic, or CAR, since 2007. This oft-forgotten country’s tumultuous history has resulted in a near complete lack of institutional capacity, making it both a victim and an ideal refuge of the LRA. 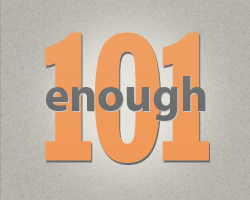 This post is a brief history that is part of the series Enough 101, intended to provide a contextual background for understanding the complex issues that the Enough Project works on. This post is the third in the CAR series. Read Part 1: “Central African Republic: 90 Years of Chaos, 1903-1993,” and Part 2: “Central African Republic: Mutinies, Civil Wars, and a Coup, 1993-2003,” and watch for Part 4 next Tuesday that will focus on the LRA in CAR. After General Bozizé leveraged international support to seize power in March 2003, CAR became an almost vassal state of Chad and “the impunity of General Bozizé’s comrades-in-arms remained a rule without exception.” In May 2005, Bozizé was democratically elected and, like CAR’s leaders before him, set to installing his family members in positions of power. While President Bozizé’s election was deemed “fair” and CAR did have real freedom of expression, the new government failed to support an independent judiciary, respect human rights, or promote financial transparency. According to the International Crisis Group, CAR's most notable natural resource is diamonds, which are “scattered liberally” but difficult to mine in large quantities because the deposits are alluvial and spread across two large river systems. With the presidency, Bozizé gained a largely informal diamond mining sector traditionally kept under strict presidential control and, like his predecessors, continued to exploit it for personal gain. Northeastern CAR is located more than 600 miles from the capital of Bangui and is home to a predominantly Muslim population that identifies with Chad and Sudan more than with the river-dwelling people of CAR’s south. Sudanese troops often crossed the porous 750-mile Sudan-CAR border during Sudan’s civil wars. Immediately after the 2005 election, a rebellion emerged in the northwest stronghold of former President Ange-Félix Patassé, and in the spring of 2006 another insurrection sprung up in the northeast. In both instances, the CAR army—the Central African Armed Forces, or FACA—committed wide-ranging atrocities. “It became difficult to know who was contributing most to the collapse of public order: rebel activity or the army’s policy of scorched earth,” reported Human Rights Watch in 2007. A series of attacks along the Sudan-CAR-Chad border in 2006 were influenced by instability in Darfur and by Sudan and Chad’s worsening relationship. Much like Darfur, the northeastern region of CAR is an isolated territory, suffering from political marginalization and a crisis in livelihoods. Armed rebellions, alternately involving neighboring Chad and Sudan, erupted through 2006 and 2007. In March 2007, France sent a force of 130 men to support the CAR army in re-taking a town held by a coalition of rebel groups. This military success was ultimately a media disaster–the U.N. humanitarian coordinator subsequently reported that 70 percent of the homes retaken by the French and FACA were torched and only 40 percent of the inhabitants had returned. “People in the north west told us they feared the rebels but feared the government soldiers even more,” reported ICG in July 2007. Approximately 26,000 Central Africans fled the fighting and took refuge in Cameroon in August 2007. Refugees from CAR, Sudan, and Chad crossed one another’s borders, and the U.N. reported a total of 300,000 people were affected by the insecurity by the end of 2007. At least 100,000 people fled to forest hideouts to escape from local and regional armed groups, including the Lord’s Resistance Army, or LRA. Bozizé recognized that from an international perspective, the crisis in northeastern CAR was viewed as a regional issue, and he angled his international donor asks accordingly. At the height of the crisis in Darfur, CAR received more aid funds than ever before. CAR’s economy achieved an unprecedented 3.8 percent real growth rate in 2006 and 4 percent in 2007. In August 2007, President Bozizé succeeded at balancing his regional commitments and was able to reach a peaceful agreement with Khartoum without enraging Chad. The agreement nominally created a system of mixed patrols along the CAR-Sudan border, but this plan never came to fruition. As the situation stabilized, an E.U. mission, mandated under the U.N. Mission in CAR and Chad, or MINURCAT, deployed 3,200 soldiers (half of whom were French) to Chad and CAR in January 2008 to secure refugee camps and provide security for humanitarian staff and operations. By May 2008, most rebel groups had either entered into peace agreements with the Central African government or declared a cease-fire. June 2008 marked the signing of the Libreville Comprehensive Peace Agreement. In June 2011 the final hold-out rebel group, the Convention of Patriots for Justice and Peace, or CPJP, signed a cease-fire agreement with the government. Finally, in October 2011 the CPJP signed a cease-fire with one of the other rebel groups to end the conflict. Meanwhile, CAR continued to operate as a dictatorship under a guise of democracy. The Libreville Comprehensive Peace Agreement established a national unity government and planned for 2010 elections. President Bozizé delayed elections twice in 2010, and finally held them in January 2011. The elections were deemed “fair” by the electoral commission; however members of the opposition cited counting irregularities and called for a boycott of the second round of elections in March 2011. The Constitutional Court invalidated the election results from January and later invalidated the results from March. Despite protests from the opposition, CAR held a special election in September 2011, with Bozize’s party winning a majority of the parliamentary seats.